Joey Pigza can't sit still. He can't pay attention, he can't follow the rules, and he can't help it–especially when his meds aren't working. Joey's had problems ever since he was born, problems just like his dad and grandma have. 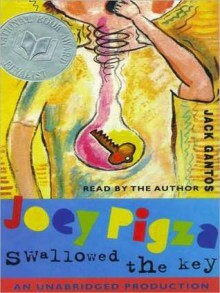 And whether he's wreaking havoc on a class trip or swallowing his house key, Joey's problems are getting worse. In fact, his behavior is so off the wall that his teachers are threatening to send him to the special-ed center downtown.Joey knows he's really a good kid, but no matter how hard he tries to do the right thing, something always seems to go wrong. Will he ever get anything right?From the Compact Disc edition.